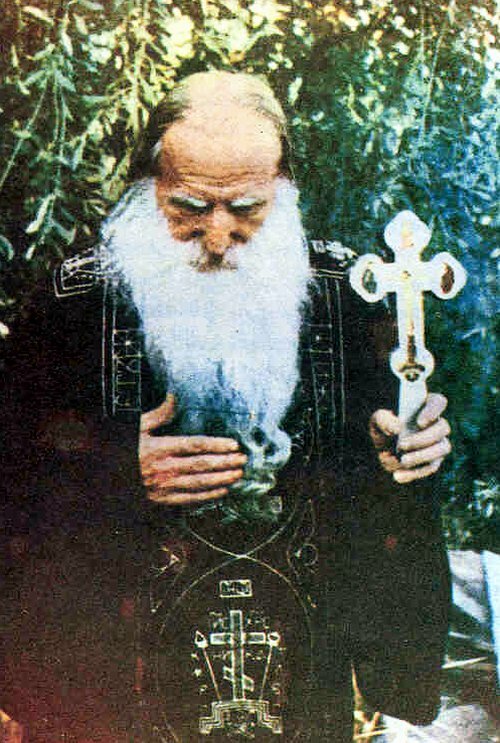 Saint Paisios the Athonite says about the following prayer of the Papa Tychon, the Russian Elder who served as his spiritual father when he embarked on the path of asceticism in Mount Athos, that he wrote it "with great pain and many tears" and would send it to "suffering souls in Russia as balsam from the Garden of the Most Holy Mother of God." Below is a translation from the original Greek. There seem to be a few versions of the prayer, so below we give a longer form of it. Holy Golgotha, Divine Golgotha, sanctified with the blood of Christ! We beg you, tell us how many thousands and millions of sinners, by the grace of Christ, repentance and tears, you have cleansed and brought to fill up the Bridal Chamber of Paradise? With Your ineffable love, Christ our King, with Your grace, you have filled all the celestial palaces with repentant sinners. You have mercy on those here below, too, and save them. And who could render You worthy thanks, had he even the mind of an angel? Sinners, come quickly. Holy Golgotha is open and Christ is merciful. Fall before Him and kiss His holy feet. He alone, as the merciful one, can heal your wounds! How blessed we shall be when Christ the most merciful counts us worthy, with great humbleness, fear of God, and burning tears to wash His spotless feet and kiss them with love! Then Christ, the merciful, will be pleased to wash away our sins and will open unto us the gates of sweet Paradise. We shall then, in sweet Paradise, with great joy, together with the archangels and angels, the Cherubim and the Seraphim and all the saints, glorify the Savior of the world eternally, our most sweet Jesus Christ, the Lamb of God, together with the Father and the Holy Spirit, the Holy Trinity Undivided and of One Essence. Fiery tears are the key to Paradise.